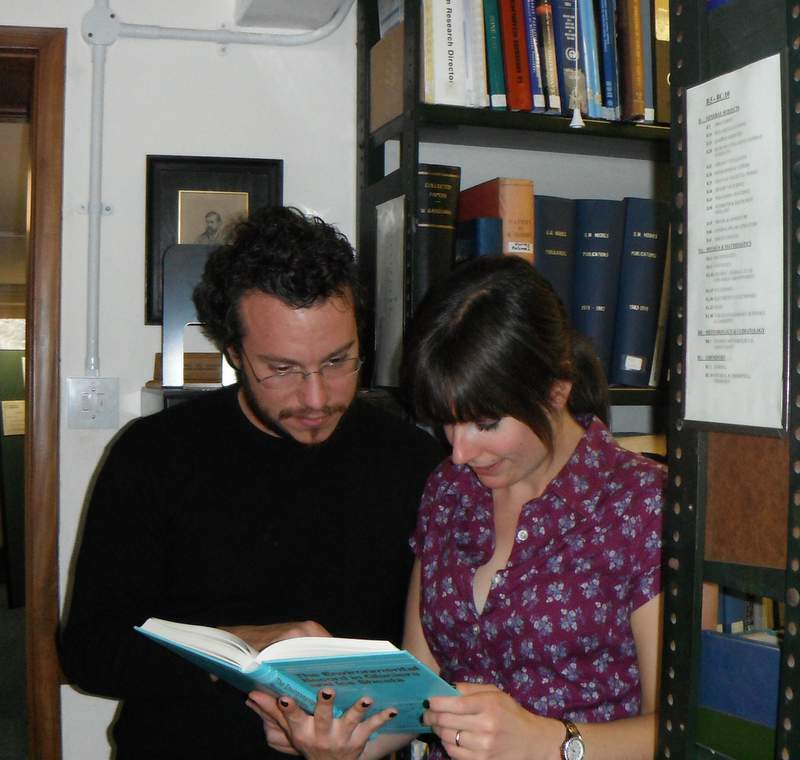 Combing the literature in the National Marine Biological Library. Bedford, J., Johns, D., Greenstreet, S., and McQuatters-Gollop, A. (2018). Plankton as prevailing conditions: a surveillance role for plankton indicators within the Marine Strategy Framework Directive. Marine Policy, doi: 10.1016/j.marpo.2017.12.021. Capuzzo, E., Lynam, C.P., Stephens, D., Barry, J., Forster, R.M., Greenwood, N., McQuatters-Gollop, A., Silva, T., van Leeuwen, S. M., and Engelhard, G.H., (2018). New data reveal a decline in primary production in the North Sea with implications for zooplankton and fisheries. Global Change Biology, 24: e352-e364. Dickey-Collas, M., McQuatters-Gollop, A., Bresnan, E., Kraberg, A.C., Manderson, J.P., Nash, R.D.M., Otto, S.A., Sell, A.F., Tweddle, J.F. and Trenkel, V.M., (2017). Pelagic habitat: exploring the concept of good environmental status. ICES Journal of Marine Science, 74:2333-2341. McQuatters-Gollop, A., Johns, David G., Bresnan, E., Skinner, J., Rombouts, I., Stern, R.F., Aubert, A., Johansen, M., and Knights, A. (2017). From microscope to management: the critical value of plankton taxonomy to marine policy and biodiversity conservation. Marine Policy, 83:1-10. Batten, S.D., Raitsos-Exarchopoulos, D., Danielson, S., Hopcroft, R., Coyle, K. and McQuatters-Gollop, A., (2017). Interannual variability in lower trophic levels on the Alaskan Shelf. Progress in Oceanography, In press. Evariste, E., Claquin, P., Robin, J.-P., Auber, A., McQuatters-Gollop, A. and Dauvin, J.-C. (2016). The Channel Ecosystem, a cross-roads of anthropogenic pressures and scientific studies: lessons acquired from the European INTERREG IV projects (2009-2015). Marine Policy, 63:158-165. Stern, R.F., Hamilton, K.M., Walne, A., McQuatters-Gollop, A. and Edwards, M., (2015). Novel lineage patterns from an automated water sampler to probe marine microbial biodiversity with Ships of Opportunity. Progress in Oceanography, 137:409-420. Harrison, P.J., Zingone, A., Mickelson, M.J., Lehtinen, S., Ramaiah, N., Kraberg, A., Sung, J., McQuatters-Gollop, A. and Jakobsen, H.H., (2015). Cell volumes of marine phytoplankton from globally distributed coastal data sets. Estuarine, Coastal and Shelf Science, 162:130-142. Zingone, A., Harrison, P.J., Jakobsen, H.H., Kraberg, A., Lehtinen, S., McQuatters-Gollop, A., O’Brien, T. and Sun, J., (2015). Increasing the quality, comparability and accessibility of phytoplankton species composition time-series data. Estuarine, Coastal and Shelf Science, 162:151-160. Evariste, E., Claquin, P., Robin, J.-P., Auber, A., McQuatters-Gollop, A., Fletcher, S., Glegg, G., and Dauvin, J.-C., (2015) What did we learn from PEGASEAS Forum “Science and Governance of the Channel Marine Ecosystem”?. Marine Pollution Bulletin, 93:1-4. Gilbert, A.J., McQuatters-Gollop, A., Langmead, O., Mee, L., Vermaat, J., 2015. Visions for the North Sea: the societal dilemma of specifying good environmental status. Ambio, 44:142-153. Postlethwaite, C.F., Hickman, A.E., McQuatters-Gollop, A., Bryden, H., Woodworth, P., (2014). Preface: A prospectus for UK marine sustained observations. Philosophical Transactions of the Royal Society 372, 20130341. Tett, P., Gowen, R., Painting, S., Elliott, M., Foster, R., Mills, D., Bresnan, E., Capuzzo, E., Fernandes, T., Foden, J., Geider, R., Gilpin, L., Huxham, M., McQuatters-Gollop, A., Malcolm, S., Saux-Picart, S., Platt, T., Racault, M.-F., Sathyendranath, S., Molen, J.v.d. and Wilkinson, M., (2013). A framework for understanding marine ecosystem health. Marine Ecology Progress Series, 494: 1-27. Jessopp, M.J., Cronin, M., Doyle, T.K., Wilson, M., McQuatters-Gollop, A., Newton, S. and Phillips, R.A., (2013). Transatlantic migration by post-breeding puffins: a strategy to exploit a temporarily abundant food resource? Marine Biology, 160:2755-2762 . Rombouts, I., Beaugrand, G., Fizzala, X., Gaill, F., Greenstreet, S.P.R., Lamare, S., Le Loc’h, F., McQuatters-Gollop, A., Mialet, B., Niquil, N., Percelay, J., Renaud, F., Rossberg, A.G. and Féral, J.P., (2013). Food web indicators under the Marine Strategy Framework Directive: from complexity to simplicity? Ecological Indicators, 29: 246–254. McQuatters-Gollop, A. and Vermaat, J.E. (2011). Covariance among North Sea ecosystem state indicators during the past 50 years – contrasts between coastal and open waters. Journal of Sea Research 65:294-292. Langmead, O., A. McQuatters-Gollop, L.D. Mee, J. Friedrich, A.J. Gilbert, M.-T. Gomoiu, E.L. Jackson, S. Knudsen, G. Minicheva, V. Todorova (2009). Recovery or decline of the Northwestern Black Sea: A societal choice revealed by socio-ecological modelling. Ecological Modelling 220: 2927-2939. Henson, S. A., D. Raitsos, J. P. Dunne, and A. McQuatters-Gollop (2009), Decadal variability in biogeochemical models: Comparison with a 50-year ocean colour dataset, Geophysical Research Letters, 36:L21601. McQuatters-Gollop, A., L.D. Mee, D.E. Raitsos, G. Shapiro (2008). Non-linearities, regime shifts and recovery: The recent influence of climate on Black Sea chlorophyll. Journal of Marine Systems 74:649-658. Artioli, Y., J. Friedrich, A.J. Gilbert, A. McQuatters-Gollop, L.D. Mee, J.E. Vermaat, F. Wulff, C. Humborg, L. Palmeri, F. Pollehne (2008). Nutrient budgets for European seas: a measure of the effectiveness of nutrient reduction policies. Marine Pollution Bulletin 56:1609-1617. Vermaat, J.E., A. McQuatters-Gollop, M. Eleveld and A. Gilbert (2008). Past, present and future nutrient loads of the North Sea: causes and consequences. Estuarine, Coastal and Shelf Science 80:53-59. McQuatters-Gollop, A., D.E. Raitsos, M. Edwards, and M.J. Attrill. (2007). Spatial patterns of diatom and dinoflagellate seasonal cycles in the North – East Atlantic Ocean. Marine Ecology Progress Series 339: 301-306.